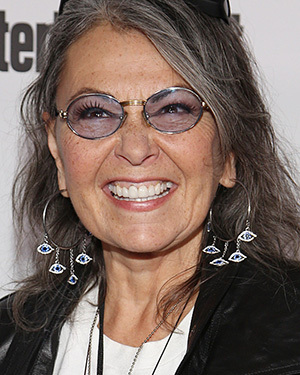 Roseanne's politics on her television show never bothered me that much. What bothered me was the episode where she was using her granddaughter's ability to mimic the electronic beep of the price scanner to shoplift items from the grocery store self check-out. This sort of lessened her moral authority when having to deal with her older granddaughter shoplifting thrift store clothes to get money to move out of the Connor household and back to Chicago. That was obscured by Roseanne's response to being called a "stupid old hillbilly", namely forcing her granddaughter's head into the sink and spraying her with water. Whatever. Children need good role models, and the recently resurfaced Roseannes- both the real life and the sitcom versions- left much to be desired. Birth control that really works - every night before we go to bed we spend an hour with our kids. Experts say you should never hit your child in anger. When is a good time? When you're feeling festive? I'm either mentally ill or Jewish. I can't sometimes tell the difference. I'm kosher except for times where I eat pork and shellfish. I'm not a politician. I think that uniquely qualifies me to become president of the U.S.
Middle class people are fearful of losing. So everything is about fear of loss. When's everything is based on money, everything's for sale, including their integrity and their morals. My husband said he needed more space, so I locked him outside. Screwed? We're way beyond screwed. The light from screwed will take years to reach us. Take this marriage thing seriously- it has to last all the way to the divorce. The way to a man's heart is through his chest. Women are cursed, and men are the proof. Women complain about PMS, but I think of it as the only time of the month I can be myself.